Please see the ordering info below. 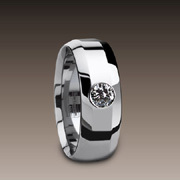 Please make sure to have your finger measured with standard narrow finger sizers, regardless of band width you choose. As a helpful tip, you may consider that most people's fingers vary a half of a size from morning till night. 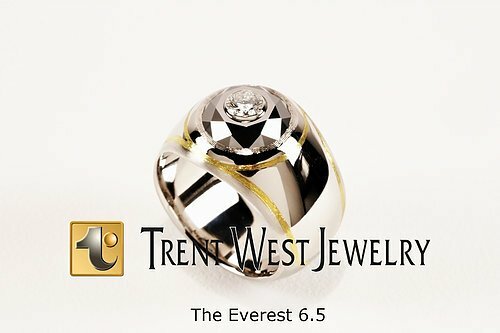 Traveling frequently causes swelling and will make your band fit more snug than usual and colder conditions can cause a looser fit. 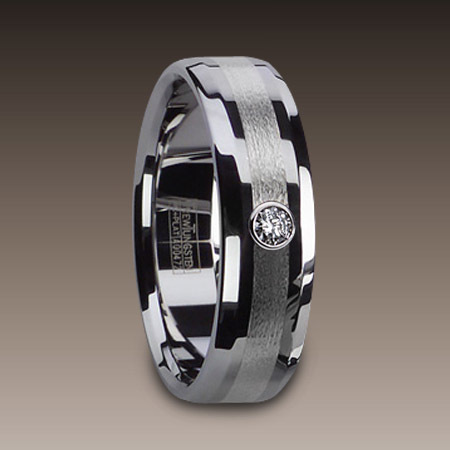 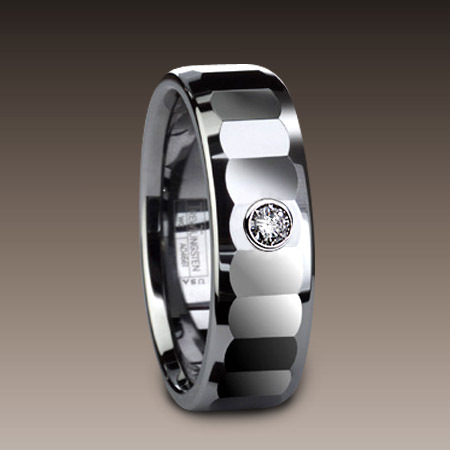 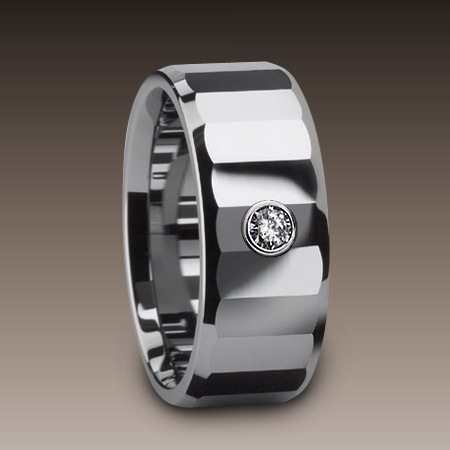 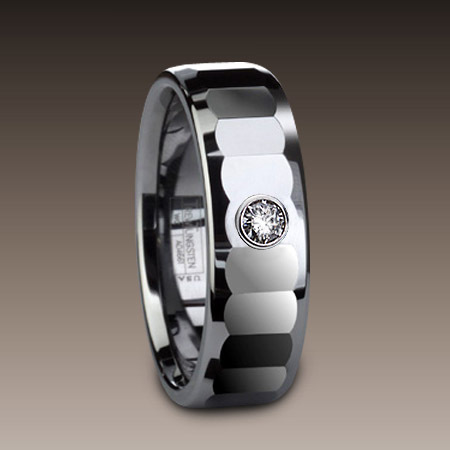 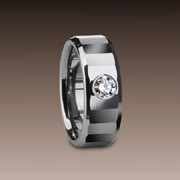 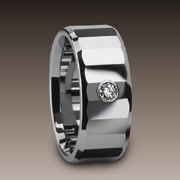 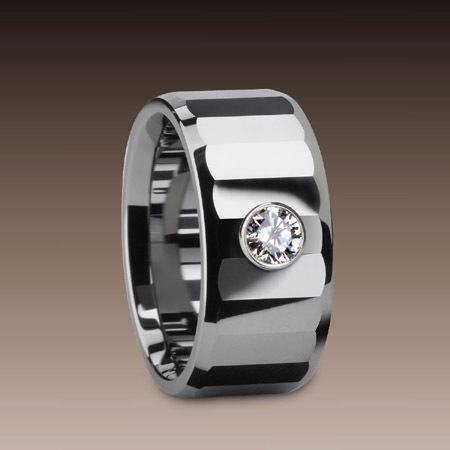 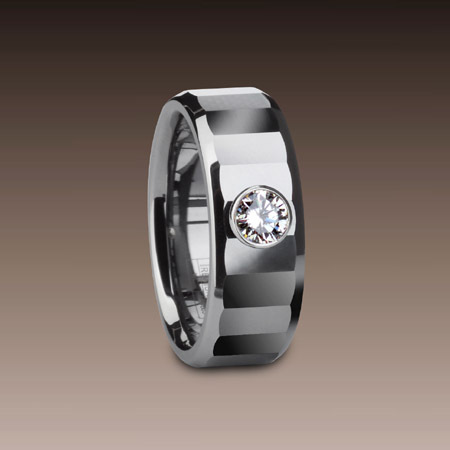 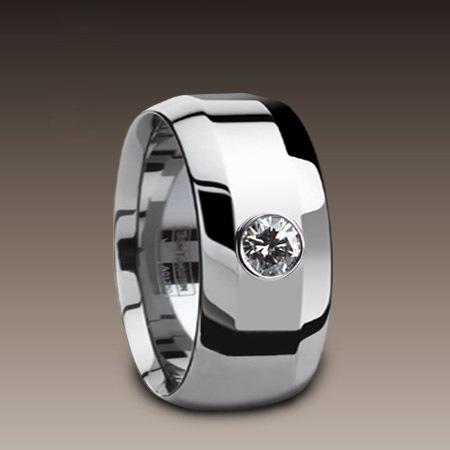 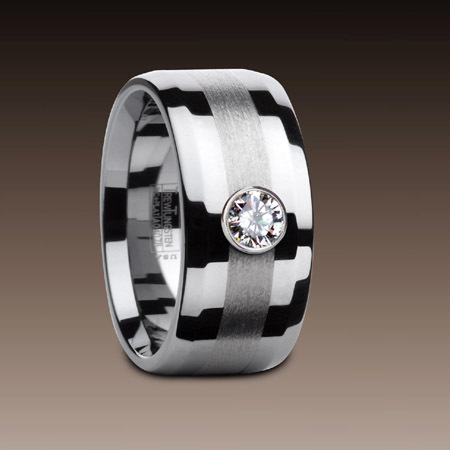 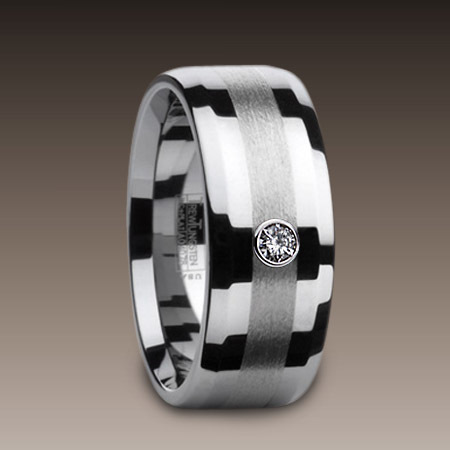 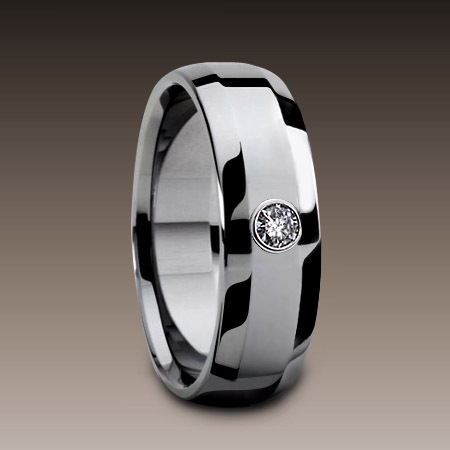 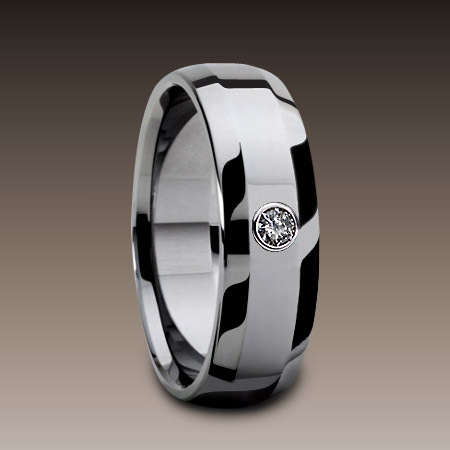 Diamond set TrewTungsten® bands are available in 7 and 9 millimeter widths. Bands set with .10 and .15 carat diamonds are of VS2 clarity and G color. 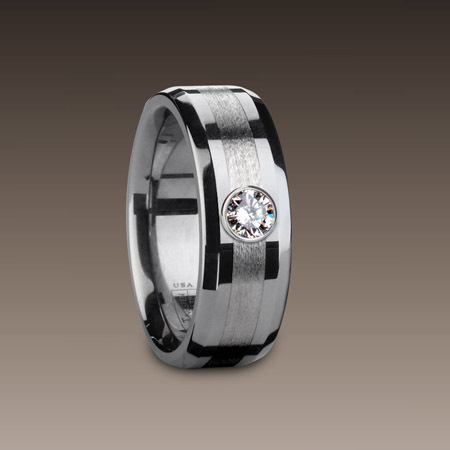 Bands set with .25 carat diamonds are of G color and are of either VS2 or SI1 clarity. 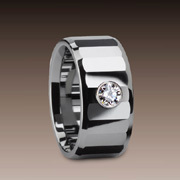 All diamonds are expertly set into low profile platinum bezels. 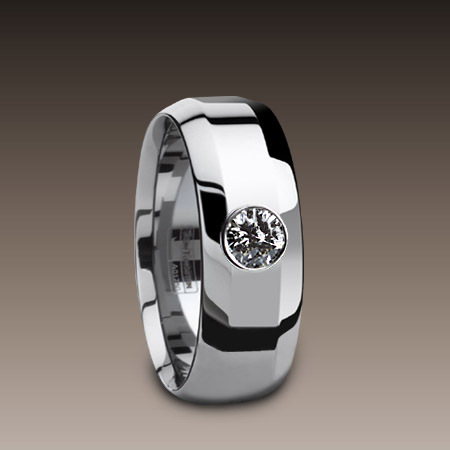 Diamond weights may vary within .01 carat plus or minus accuracy. 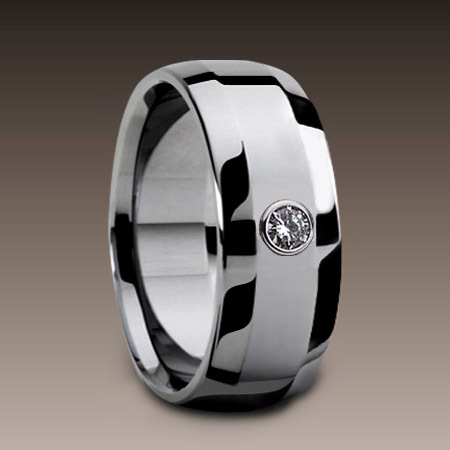 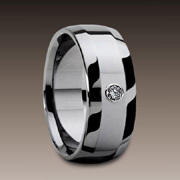 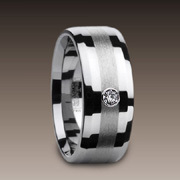 Diamond set TrewTungsten® bands are available in full and half sizes (no quarter sizes) from 3 up to a maximum of 12½. TrewTungsten® bands are not sizable.